ADCOLOR welcomes CNN’s Don Lemon as host of 2014 ADCOLOR Live! and the 8th Annual ADCOLOR Awards. Lemon also served as host of the 7th Annual ADCOLOR Awards. ADCOLOR Live! will take place Monday, June 16, 2014, at Time Warner’s Screening Room at One Time Warner Center. The announcement will include the 8th Annual ADCOLOR Awards Honorees and Nominees, the 2014 ADCOLOR FUTURES class and Ms. ADCOLOR. ADCOLOR Live! 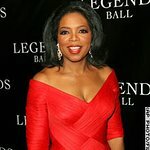 is presented by CNN and will be live streamed on www.AdColor.org. “The ADCOLOR Board of Directors and the Advisory Board are excited to highlight not only the exceptional achievements but the selfless ways this year’s nominees and special honorees have given back to their respective industries and the world.” says Tiffany R. Warren, Founder and President of ADCOLOR and SVP, Chief Diversity Officer, Omnicom Group. The announcement and live stream will take place at 7:00pm with a post-reception from 7:30pm to 9:00pm. The 8th Annual ADCOLOR Awards and Industry Conference will take place September 17-20, 2014, at The Beverly Hilton in Beverly Hills, CA. For more information on the Conference, sponsorship opportunities and registration details, click here. 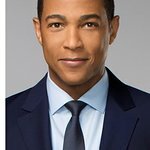 Don Lemon anchors CNN Newsroom during weekend prime-time and serves as a correspondent across CNN/U.S. programming. He has reported and anchored on-the-scene for CNN from many breaking news stories, including the Boston marathon bombing (2013), the Philadelphia building collapse (2013), the Sandy Hook Elementary School shooting (2012), the Colorado Theater Shooting (2012), the death of Whitney Houston, the Inaugural of the 44th President in Washington, D.C., the death of Michael Jackson (2009), Hurricane Gustav in Louisiana (2008), the Minneapolis bridge collapse (2007) and the George Zimmerman trial (2013). Lemon has won several industry awards, including being named as one of the Ebony Power 150: the most influential Blacks in America in 2009.